With my due date 3 months away(! ), we are hard at work getting the house ready for his arrival. 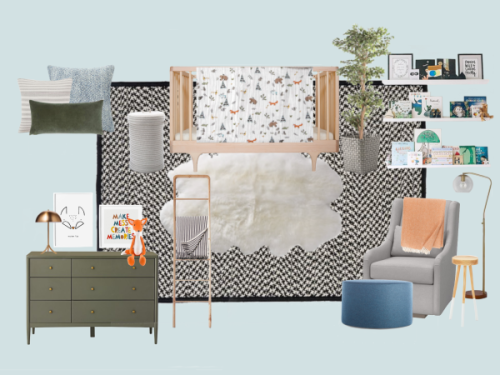 #nesting My cousin, Jessica Ford Design, just launched her own interior design business last fall, so we are working together on the nursery. 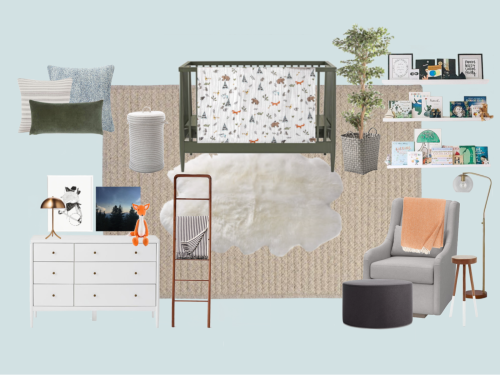 From the beginning, I envisioned the nursery to be mostly neutral with pops of color - serene, not too "baby" and with pieces that will grow with the baby and our home. Once we found out it was a boy, I was full into a woodland theme. After searching and finding tons of options, we went with Little Unicorn's Forest Friends pattern as the base of the design. It fit the bill perfectly! 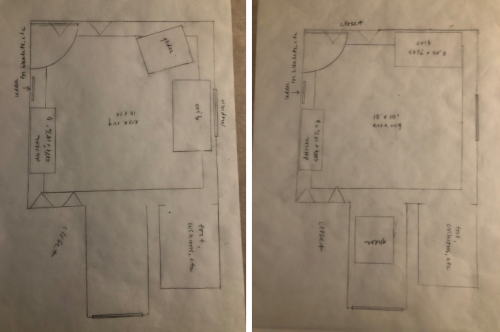 Jess came over in early January to measure the room and we talked through the design scheme, layout and pieces we'd need. Check out some before photos HERE from Jess' blog. Here are the 2 designs she put together - you know it's a good sign when you love them both! We have made some decisions the the last week or so, and more to come on the final look! Follow along when I am not posting on my Instagram: @laviejaime and #babyboycoval. Isn't it so much fun #nesting?! I love your nursery design. that ladder is very cool - and am now thinking i need that because I got so many baby blankets!